We are always looking for new and exciting summertime activities for the kids. However, it can get a little crazy trying to keep track of the pool days, camping trips, art classes, and piano lessons on top of work schedules. So, we created a little thing we like to call the Giant Summer Calendar! 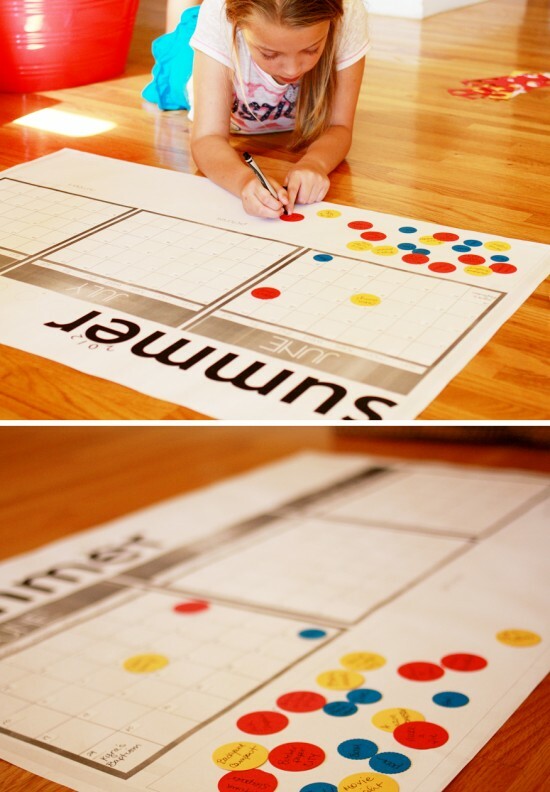 This (large format pdf) free download is just for you to help keep track of all your summertime fun! We used two large punches that we had on hand, along with some bright colored paper. Feel free to use card stock, construction paper or scrapbooking paper. 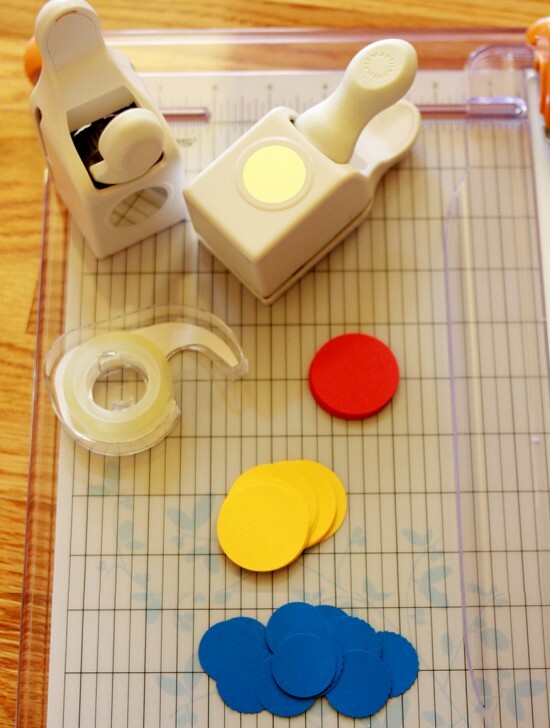 Cut out as many circles (or whatever shape your heart desires) and write out activities. We tried to color-code, ie. water activities were written on the blue circles. Whether you plan trips to Disneyland or to your local park, make planing out your summer fun, FUN! 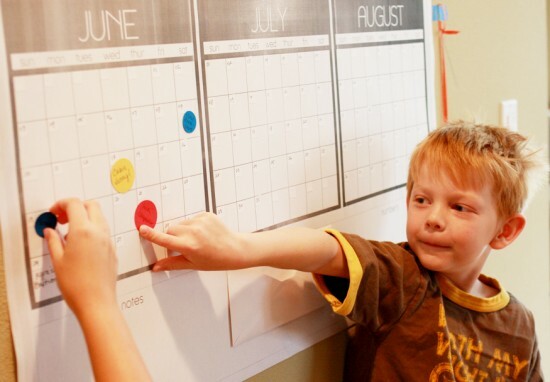 Download your Giant 24″ x 36″ Summer Calendar here! To print out this freebie, visit FedEx (Kinkos) or Staples and upload to the large format blueprints/engineering prints section. Tip: We taped a regular business size envelope to the bottom of the calendar to hold all of our extra rounds in place! Would you happen to have one for 2013? Or what program did you use to make it?